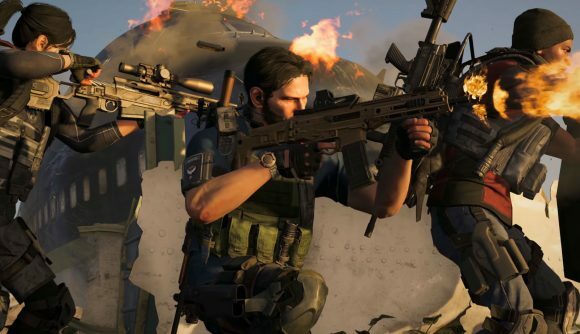 The Division 2’s first big content update is nearly upon us, and the latest stream from Ubisoft has revealed plenty of details on what to expect. Besides the big stuff – the addition of the Tidal Basin and World Tier 5 – a host of balance changes, reworks, and new features will come online in the new patch. The Invasion: Battle for DC update is set to drop at 3:30 PDT / 6:30 EDT / 8:30 BST on Friday, April 5. Maintenance is expected to last for about three hours, after which you’ll be able to hop in and enjoy the new content. A skill mod rework is perhaps the most notable change. Power requirements for skill mods are getting generally lowered, as high end skill mods previously had requirements stretching – or exceeding – what was actually possible to achieve in-game. The developers say skill-based builds will be more viable as a result of these changes. Weapon mods will also see a rework. Their positive effects are getting nerfed, but their negative effects are getting removed entirely, so you no longer have to worry about incurring a penalty when slotting in new mods. Builds that rely on critical and headshot damage are getting nerfed, too, so the most prolific PvP builds are going to have a rougher time after this patch. More granularly, you’ll see damage nerfs to the M700 sniper and MK17 rifle, and a nerf to the Safeguard talent to stop it from endlessly proccing. Sniper turrets and chem launcher skills are getting buffed, as are the AA12 shotgun and Lightweight M4. You’ll also see a buff to the Sharpshooter specialisation’s sniper signature, that will make it easier to accurately and quickly scope in and get a round off. You can see all the details in the Twitch archive. Oh, and we’re finally getting an FOV slider, too. You’ll see all these changes when the new patch goes live this Friday.